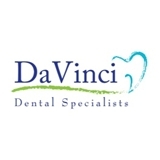 Da Vinci Dental Specialists (Warminster) - Book Appointment Online! Science Enhanced by Art Thank you for your interest in Da Vinci Dental Specialists. Our entire dental staff is dedicated not only to restoring patient's teeth and gums to health, but focuses on preventative care, synchronized oral biology and patient education. Our office has a small, immaculate, friendly atmosphere that puts our patients at ease. You will not find a crowded waiting room or have trouble scheduling timely appointments at our practice. We have convenient evening and weekend hours. We offer numerous specialties including Esthetic and Cosmetic Dentistry, Root Canal Therapy, Crown and Bridge work, Dental veneers, Teeth Whitening, Porcelain Crowns, Periodontics, Implants, Prosthetics, Oral Surgery, Wisdom Teeth Removal, Sedation, Invisalign and Pain Management. Very professional and comforting! Would recommend him highly!